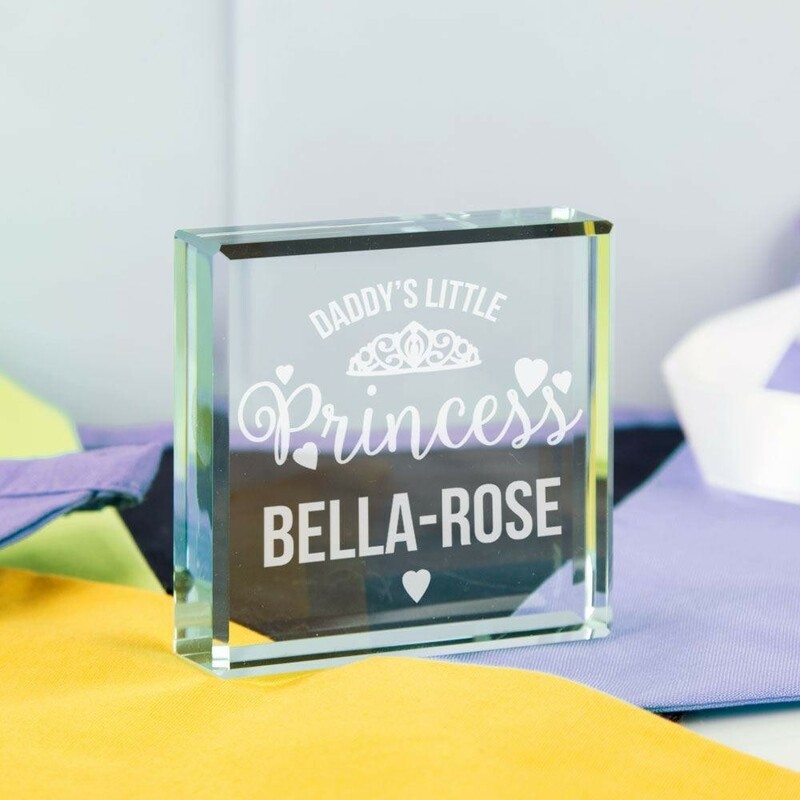 A special memento for Daddy's little Princess! 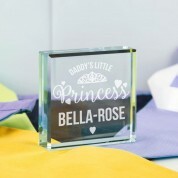 This cute engraved glass block is jade tinted. 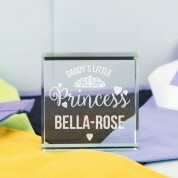 It shows a Princess tiara and the wording “Daddy's Little Princess” above the child's name. It is made complete with love hearts surrounding the text. 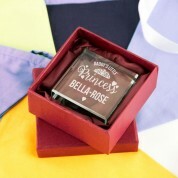 We think this would make a stunning gift for a new born, a birthday or at Christmas time. The timeless design means it can be displayed for years. It will suit any bedroom or nursery décor.